Are you compliant? Let us help you navigate the hazards, supplier evaluations/verifications and corrective actions of this new rule. The FDA FSMA rule on Foreign Supplier Verification Programs (FSVP) for Importers of Food for Humans and Animals is final, and the first compliance dates began May 30, 2017. As an importer, it is essential that you are compliant with this program in order to keep your supply chain moving. As your customs brokerage partner, we are here to not only advise you on the rule but answer any questions, provide training as needed and most importantly, keep your imports flowing uninterrupted. 1) Who is covered by the rule? a) For the purposes of FSVP, an importer is the U.S. owner or consignee of a food offered for import into the United States. If there is no U.S. owner or consignee, the importer is the U.S. agency or representative of the foreign owner of consignee at the time of entry, as confirmed in a signed statement of consent. 2) What is an FSVP? a) It is a program that importers covered by the rule must have in place to verify that their foreign suppliers are producing food in a manner that provides the same level of public health protection as the preventive controls or produce safety regulations, as appropriate, and to ensure that the supplier’s food is not adulterated and is not misbranded with respect to allergen labeling. 4) Importers must establish and follow written procedures to ensure that they import foods only from foreign suppliers approved based on an evaluation of the risk posed by the imported food and the supplier’s performance or, when necessary on a temporary basis, from unapproved suppliers whose foods are subjected to adequate verification activities before being imported. 5) Importers are required to develop, maintain and follow an FSVP for each food brought into the United States and the foreign supplier of that food. If the importer obtains a certain food from a few different suppliers, a separate FSVP would be required for each of those suppliers. Similarly, if the importer obtains many different foods from a single supplier, a separate FSVP would be required for each food. 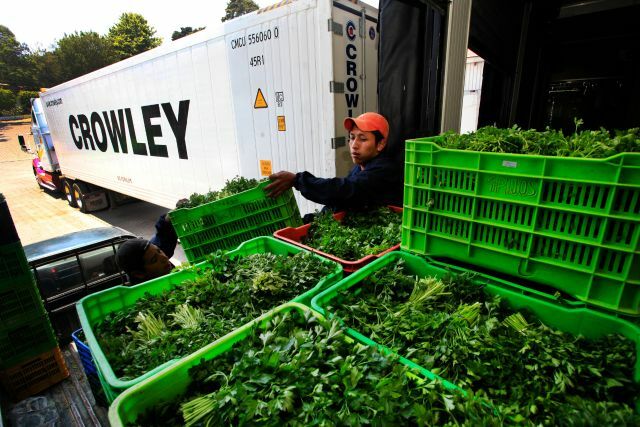 6) Certain importers that are also manufacturers/processors are deemed in compliance with most FSVP requirements if they are compliant with the supply-chain program requirements under the preventive controls rules; they implement preventive controls for the hazards in the food in accordance with the requirements in the preventive controls rules; or they are not required to implement preventive controls under those rules in certain specified circumstances. 7) The evaluation of the risk posed by the imported food and the supplier’s performance must be reevaluated at least every three years, or when new information comes to light about a potential hazard or the foreign supplier’s performance. 8) Importers are not required to evaluate the food and supplier or conduct supplier verification activities if they receive adequate assurances that a subsequent entity in the distribution chain, such as the importer’s customer, is processing the food for food safety in accordance with applicable requirements. FDA has extended the compliance date for obtaining these written assurances for two years. However, as required by the final rule, importers must disclose in documents accompanying the food that the food is not processed to control the identified hazard.